Launching on its 40th flight, the PSLV rocketed away from the Satish Dhawan Space Center, a facility nestled on Sriharikota Island on India’s east coast, at 0359 GMT Friday (11:59 p.m. EDT Thursday). The 144-foot-tall (44-meter) launcher thundered into a mostly sunny sky over the launch base, where liftoff occurred at 9:29 a.m. local time. 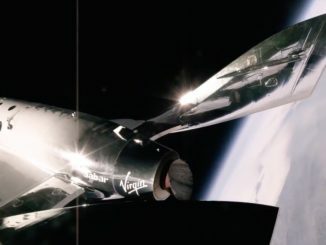 The four-stage rocket, boosted by six solid-fueled strap-on motors, appeared to soar flawlessly into orbit, first heading southeast, then turning south to steer around Sri Lanka and avoid flying over populated areas. The PSLV’s launch team regularly called out flight events, and the rocket’s fourth stage shut down around 16 minutes after liftoff, reaching an orbit 313 miles (505 kilometers) above Earth inclined 97.4 degrees to the equator, according to telemetry displayed inside launch control center. Those figures were right on the mark, perfectly matching targets installed into the PSLV’s guidance computer. 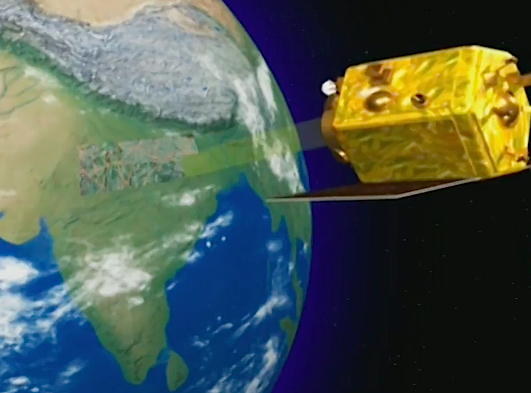 The 31 satellites stowed aboard the PSLV soon began deploying, beginning with Cartosat 2E, India’s newest Earth observation mission. The 1,570-pound (712-kilogram) Cartosat 2E satellite was the primary passenger on Friday’s launch, joining a fleet of Earth-imaging platforms built to feed observations of cities, crops, natural disasters and other targets to Indian civil and military authorities. Cartosat 2E radioed ground controllers moments after separation from the PSLV’s fourth stage, and engineers confirmed it unfurled its solar panels as planned. 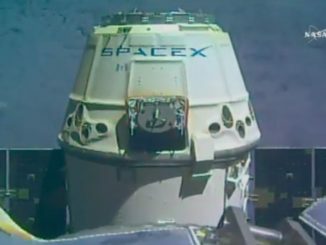 The next steps include charging the satellite’s batteries and activating its multiple cameras to begin taking pictures. The PSLV launch team confirmed the upper stage released another Indian satellite — NIUSAT — a few seconds after Cartosat 2E. Designed for agricultural monitoring, NIUSAT is suitcase-sized satellite weighing about 33 pounds (15 kilograms) developed by students at Noorul Islam University in India’s Tamil Nadu state. The mission’s other 29 payloads separated a few minutes later, and the Indian Space Research Organization declared the flight a success. Friday’s mission came 18 days after India’s last space mission lifted off from Sriharikota, matching the country’s record for the fastest turnaround between launches. It was also the third Indian launch since May 5, including two flights by variants of the bigger Geosynchronous Satellite Launch Vehicle. Friday’s mission was India’s fourth space launch of the year. It was the 17th time a PSLV XL rocket flew using uprated solid rocket boosters. For the PSLV team, Friday’s launch was not over after the satellite deployments. The fourth stage was programmed to reignite its twin hydrazine-fueled engines at least two more times later Friday. The flight was expected to last around 10 orbits, or more than 15 hours. The long-duration flight test will help certify the PSLV to haul up satellites into different types of orbits on future missions. So far, India has demonstrated the PSLV’s ability to deploy payloads into two different orbits on the same flight. ISRO officials believe the enhancement will make the PSLV more competitive in the global commercial launch market. ISRO’s commercial arm, dubbed Antrix, is responsible for commercial launch services on PSLV and GSLV missions. The PSLV has already carved a niche in launching clusters of CubeSats and other small satellites. With the withdrawal of the Russian-Ukrainian Dnepr rocket from the commercial market, the PSLV has received the bulk of recent CubeSat launch business, along with rides offered by supply ships to the International Space Station, where the diminutive spacecraft are ejected overboard. Several of the 31 satellites launched Friday were rebooked earlier this year from a long-delayed SpaceX Falcon 9 launch from California. Seattle-based Spaceflight, a company that arranges rideshare missions for small satellite owners, planned to send up 89 payloads on a secondary payload adapter called Sherpa aboard a Falcon 9 flight shared with Formosat 5, a Taiwanese Earth observation spacecraft. When it initially disclosed plans to launch the first Sherpa deployer on a Falcon 9, Spaceflight said the flight was scheduled for 2014. 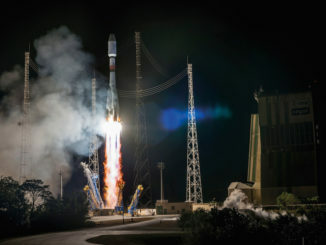 Some of the satellites launched Friday were also originally slated to fly on the Dnepr rocket, a Russian-Ukrainian venture that has been stalled in recent years by conflict between the two partner nations. 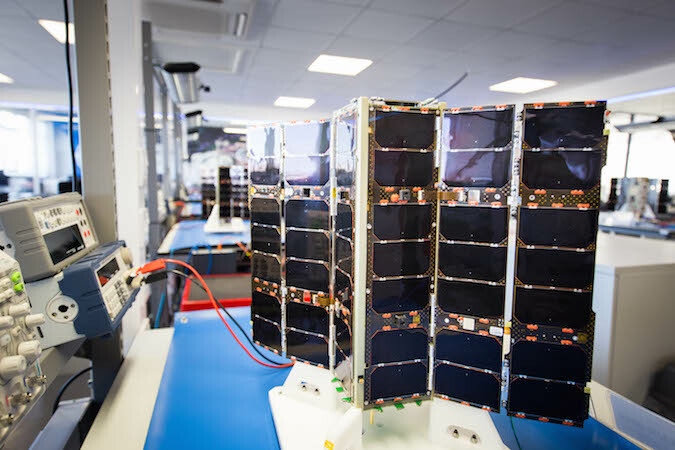 The 29 international payloads on Friday’s launch included eight Lemur CubeSats from Spire Global, a San Francisco-based company. Each Lemur satellite, about the size of a shoebox, carries a GPS radio occultation antenna, using satellite navigation signals passed through Earth’s atmosphere to derive temperature and humidity profiles that can be fed into numerical forecast models. With Friday’s launch, the company has placed 41 CubeSats into orbit, some of which have ended their missions. The Dutch company Innovative Solutions in Space accommodated most of the payloads aboard Friday’s multi-satellite launch. Engineers stowed the CubeSats in QuadPacks before shipping them to the Indian launch site. Spaceflight purchased space in the QuadPacks for Spire’s eight Lemur satellites. Jodi Sorensen, a Spaceflight spokesperson, said the Lemur payloads were reserved on the PSLV mission before the company rebooked some of its other customers from the delayed Falcon 9 flight. Another commercial weather data company, Pasadena, California-Based GeoOptics, launched its first satellite on Friday’s PSLV flight. The CICERO 6 satellite, based on an expanded CubeSat design, is the first of a planned constellation of satellites that will collect GPS radio occultation data, competing with Spire’s fleet. Other satellites launched Friday include a spacecraft named CESat 1 from Japan designed to demonstrate Earth observations using Canon imaging technology. The Max Valier Satellite, with an X-ray astronomy telescope and an amateur radio beacon, was developed in partnership by Italian high school students, Germany’s OHB System AG satellite contractor, and the Max Planck Institute for Extraterrestrial Physics. Latvia’s first satellite, named Venta 1, hosts digital cameras and a ship tracking instrument. The 16.5-pound (7.5-kilogram) satellite was built by Latvian students and funded by the Latvian government. Eight CubeSats for the multi-national QB50 science consortium, formed by educational institutions to conduct a wide range of research in low Earth orbit, also headed into space Friday. 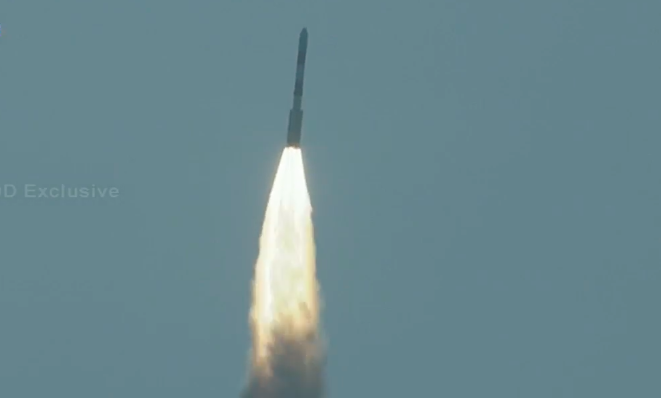 The QB50 CubeSats launched from India are the second batch of satellites to lift off, following 28 of the compact student-built platforms which launched in April on an Atlas 5 rocket going to the International Space Station. Other payloads aboard the PSLV included the SUCHAI 1 CubeSat developed by students and faculty at the University of Chile in Santiago. It carries instrumentation to study the environment in low Earth orbit. The Aalto 1 CubeSat built by Finnish university students will test a new type of spectrometer in space, measure space radiation and demonstrate an electrostatic plasma brake to drop out of orbit at the end of its mission. Sponsored by the European Space Agency, the Robusta 1B CubeSat from the University of Montpellier 2 in France will measure the effects of radiation on satellite electronics. The D-Sat mission, built and managed by a company called D-Orbit in Milan, carries a compact high-thrust solid rocket motor to validate an independent way of de-orbiting satellites. Relying on its own internal control system, the rocket fits inside the end of the D-Sat CubeSat, which is approximately the size of a toaster oven. Slovakia’s first satellite, skCUBE, also hitched a ride to orbit Friday. Built entirely in Slovakia under the management of the Slovak Organization for Space Activities, skCUBE weighs just 2 pounds (1 kilogram). Three validation satellites for a commercial communications network planned by Sky and Space Global Ltd., a British-Australian company, launched on a pilot mission. The company plans to deploy up to 200 future nanosatellites for narrowband communications services. A CubeSat named Tyvak 53b rounded out the payloads aboard Friday’s PSLV mission. Manufactured by Tyvak, a launch services broker and small satellite-builder in Southern California, the CubeSat is also testing a new de-orbiting technology.